Our manufacturing expertise goes way beyond cables. We can build and assemble your entire product here in our Baltimore facility. 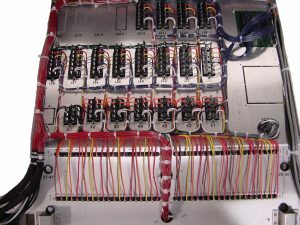 We’ll integrate the mechanical parts, circuit cards, enclosures and electrical components and leverage our in-house wire and cable expertise to provide a turnkey assembly solution. Having a single source manufacture your product is more convenient, cost effective, and faster, while also having a single supplier to manage. Operating from our US-based manufacturing facility, our highly trained electromechanical assembly technicians provide contract manufacturing services including dedicated program management and design and engineering support. From concept to prototype, then to limited rate through full rate production, our sophisticated management system ensures that Control Cable acts as a seamless extension of your operation. Through our world-class supply chain, we offer true “turnkey” solutions, including worldwide component sourcing, kitting, custom packaging, and inventory management (VMI, Kanban, JIT, and custom stocking programs). 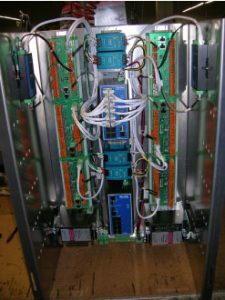 Whether your need is large or small quantities, simple or complex electrical or electromechanical assemblies, we can help.